Washington still remains just outside the AP and USA Today coaches polls. 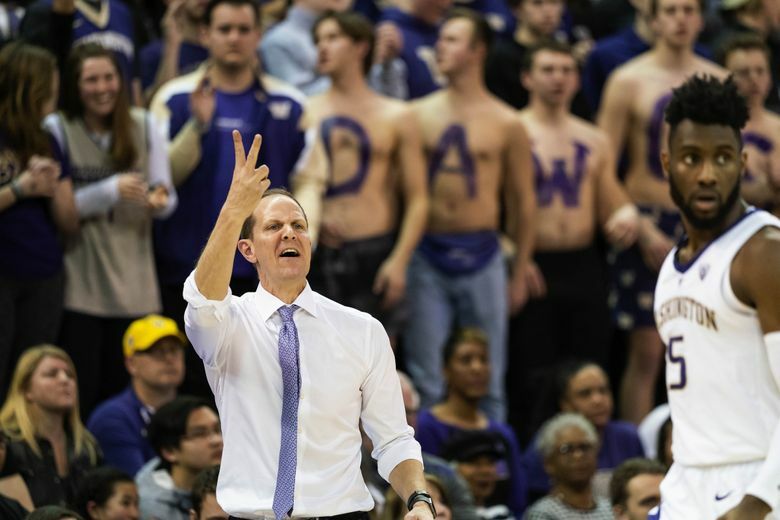 The Huskies’ 12-game winning streak provided them some pretty significant margin for error and not surprisingly, they maintained their position in most NCAA tournament projections following their first defeat in seven weeks. Here’s a look at where Washington stands in a few NCAA tournament forecasts. Howie Schwab at Fox Sports is the most optimistic about UW’s postseason hopes and for the second consecutive week he has the Huskies as a No. 7 seed in the West region paired opposite No. 10 Alabama. Jerry Palm at CBS Sports projects Washington as a No. 8 seed in the Midwest region against No. 9 Mississippi in Columbus, Ohio. Michael Beller at Sports Illustrated also has UW as a No. 8 seed paired against No. 9 Ole Miss, but the teams are in the dreaded East region with an unenviable second-round matchup against No. 1 overall seed Duke. Once again, ESPN’s bracket guru Joe Lunardi projects Washington as a No. 8 seed and his forecast has UW flying to Columbia, S.C. for a South region matchup against No. 9 Texas Christian. Before Washington’s 75-63 defeat at Arizona State on Saturday, Andy Katz at NCAA.com projected UW as a No. 7 seed against No. 10 North Carolina State in the Midwest region. The Huskies’ first defeat in nearly two months also negated any chance they had at cracking The Associated Press top 25. UW, which is fourth among others receiving votes, is unofficially No. 29 in the AP ranking and USA Today coaches poll. Notable wins: At Oregon, at Colorado, at Arizona.